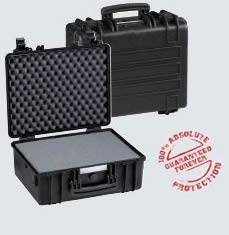 Absolutelly resistant cases for the most demanding applications. Cases NAVAHO OUTDOOR are available either empty or equipped with "bursting" foam with pre-cut raster – squares. By puding out those squares you create the exact space for storage of the content of the case. On demand we can supply removable padded inner liners / bags for cases.